This homemade costume for kids entered our 2009 Halloween Costume Contest. I looked all over for a nice looking costume of my son's favorite cartoon and I couldn’t find it anywhere. So my mom and I decided to make it with some fleece, felt pieces, needle and thread. 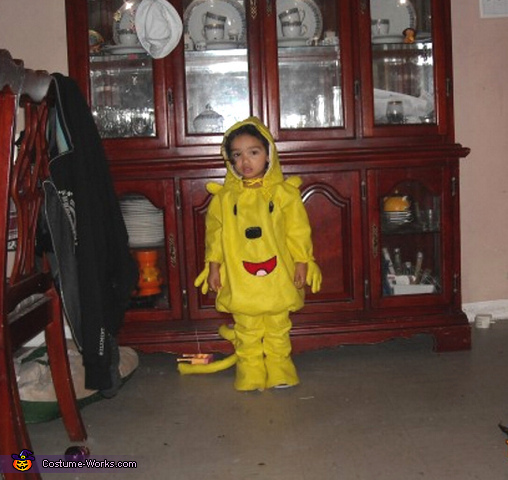 And we came up with this beautiful complete costume of Wow Wow Wubbzy. It was just what I was looking for and it took less time to make, then to look for.